Buy One, Get One Free is a popular marketing promotion numerous retailers, many popular brands and various retail related companies offer to their customers on a daily basis. The practice has been taking place for decades and today everyone from supermarkets and drugstores, cosmetic and clothing companies to restaurants and cruise ship lines offer BoGO or Buy One, Get One Free promotions. This week popular online retailer WorldofWatches.com is offering their own Buy One, Get One Free Promotion. Over 214 top-selling men’s and women’s watches are featured in the promotion, including highly sought-after men’s and ladies’ styles from Swiss Legend, Lucien Piccard, Red Line, a_line, Elini Barokas, Kenneth Jay Lane, Christian Lacroix, Clyda, August Steiner, Burgi, Cabochon, Lancaster Italy and Rotary. Prices for the promotion range as low as $39.99 and as high as $52.99 and customers can mix and match styles and brands of their choice. Whether you have a few gifts to buy for September birthdays, planning your holiday gift shopping early or are looking to add a few new watches to your timepieces collection, you could not pick a better time to shop than right now. For less than $50 you can purchase a sleek and stylish Lucien Piccard Belle Etoile women’s watch for the special lady in your life and high-performance Swiss Legend Expedition diver’s timepiece for yourself. The Belle Etoile timepiece offers a sophisticated, impassioned profile for today’s woman with a round, contoured case and matching triple link bracelet in premium grade stainless steel, highly polished to a mirror-bright glow. 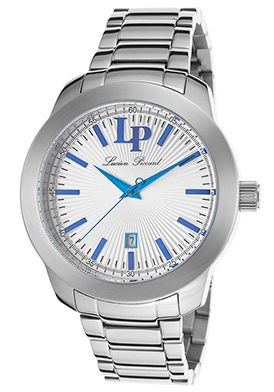 The silver-colored, fan-textured dial shines with blue sword hands and matching blue baton hour markers. A window at the 6 o’clock hour reveals the automatic date calendar. Ladies’ watch is 42mm in diameter, 12mm thick and is water-resistant to 100 meters or 330 feet. 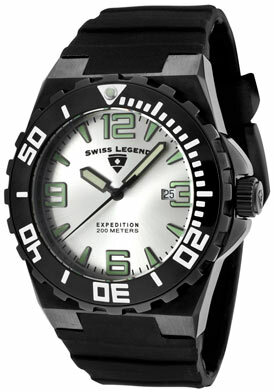 The Swiss Legend Expedition men’s watch is rugged, masculine and ideal for wherever the journey may take you. The Tonneau shaped case in black ion-plated stainless steel is presented on an attractive black silicone strap. The unidirectional rotating bezel in black ion-plated steel with notched detail on the rim and white screened markers encircles the silver-colored dial with luminous skeleton hands and luminous green colored Arabic markers and indices. 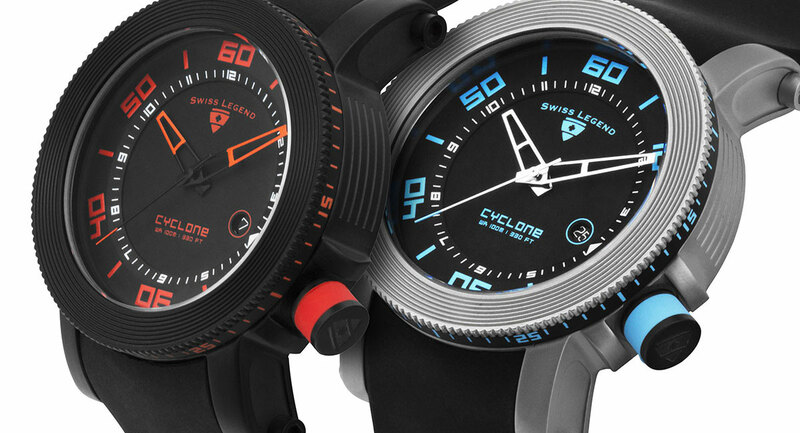 Features include an automatic date calendar, a screw-down crown and caseback for water-resistance to 200 meters or 660 feet. 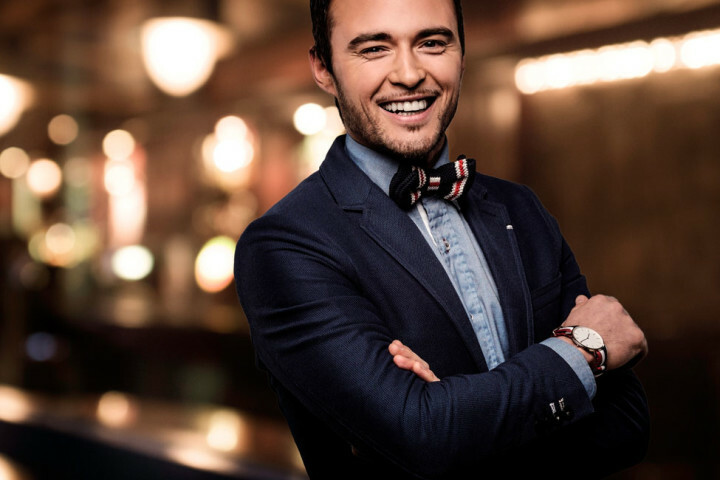 Men’s watch is 46mm in diameter and 13mm thick. Both watches feature premium Swiss-made quartz movement for time-keeping accuracy. Free shipping and free returns are included on all domestic purchase within the continental United States at WorldofWatches.com.